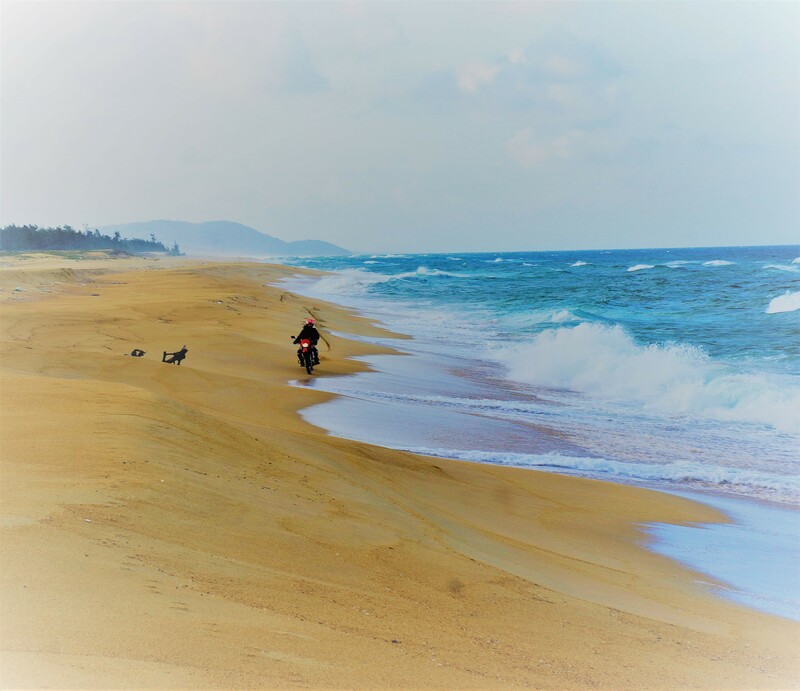 This Vietnam dirt bike tour hits the countryside roads to get to the central highlands first then continue down to the coastal town of Mui Ne instead of taking the dreary, tiresome main highways. 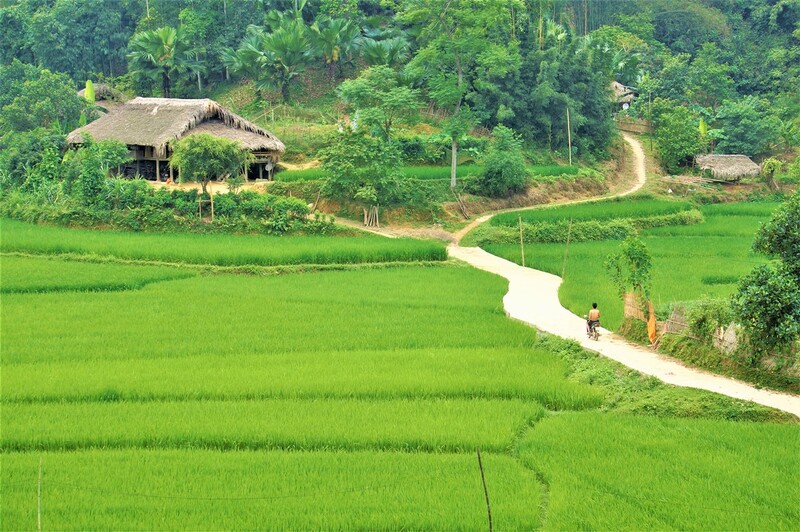 The off roads around and through plantations, reservoir lakes, jungles, and highlands passes will definitely give you a vista into the natural beauty of Vietnam. 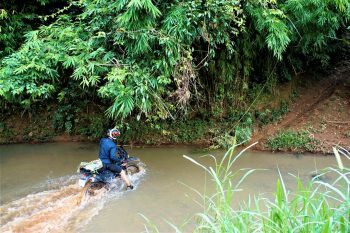 Getting out of busy Ho Chi Minh, the first highlight of your 4 day Vietnam dirt bike tour is the off roads surrounding Nam Cat Tien National Park. A ferry brings us to the other side of Dong Nai River for our drive on to and around Tri An lake. This lake is one of the largest lakes in Vietnam and built for producing hydro power. We take the back roads through jungle of Ma Da. Here we have an opportunity to explore the tunnels of Duong Minh Chau base of the Viet Cong in the 60s. 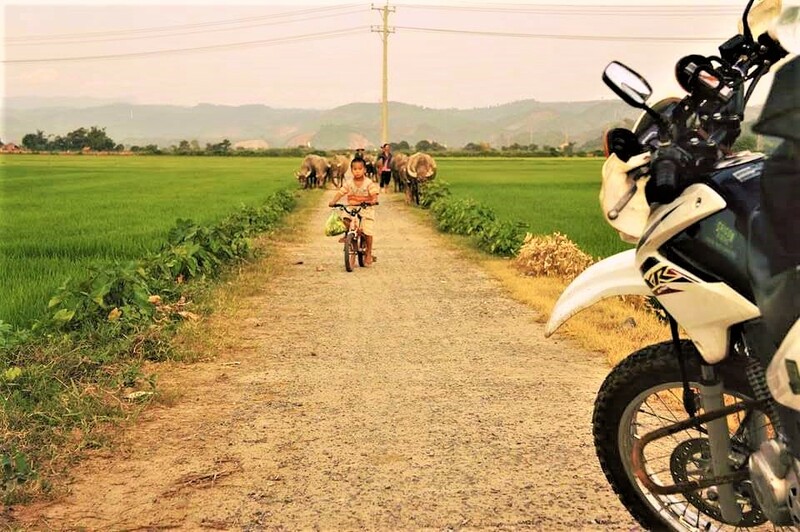 Next, you continue your Vietnam the dirt bike tour on smaller roads through the fertile natural reserve before you get on another ferry taking us to nearby Nam Cat Tien National Park. 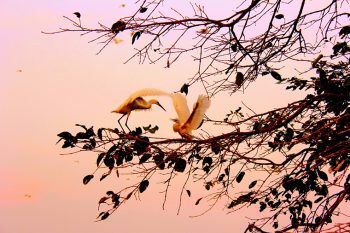 This park is a biodiversity park hosting many rare mammals, birds, reptiles and flora. This section may prove to be the toughest of the trip. No worries about photo stops and lunch. We know that you are on vacation so we offer a very relaxed trip with many photo opportunities. Whenever you need to eat or rest, we will arrange it! Overnight in a lodge next to the park. 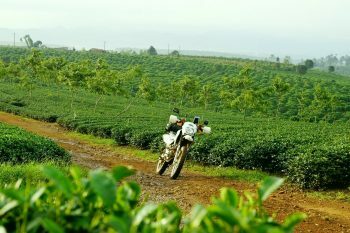 On your Vietnam dirt bike tour today, we head to the highlands where tea and coffee plantations dominate the area. The route will take us through some minority villages that rely heavily on growing and harvesting these staples. We’ll take an overnight stop in a little resort next to a water fall in Di Linh before tomorrow’s descent to the coast. After breakfast, we take a stunning winding drive down to the coast to the oceanfront town of Mui Ne. The trip certainly can stop at vegetable and flower farms, coffee plantations to get a look at the changes in land use as we emerge from the lower central highlands. Winding by forested mountains for much of the way. The road hits 1000 meters as we first ascend before traversing the pass for the descent. 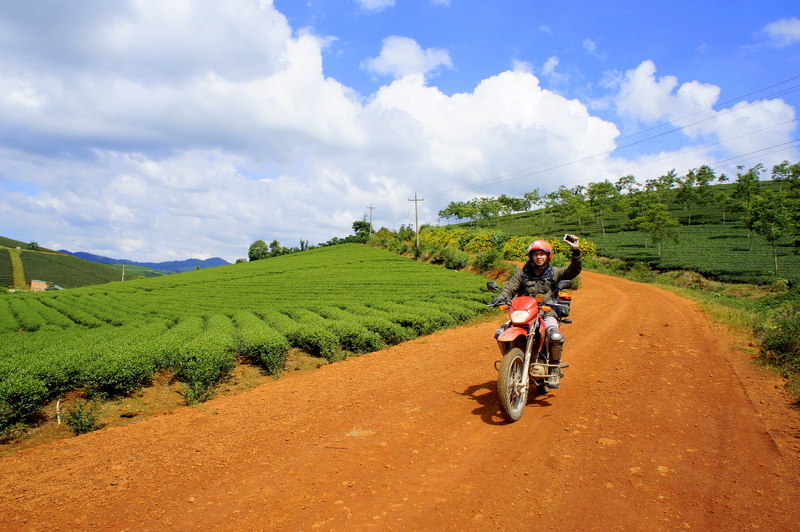 This Vietnam dirt bike tour also includes some spectacular views along the way down to the coast. Off road riding for fun is a must. 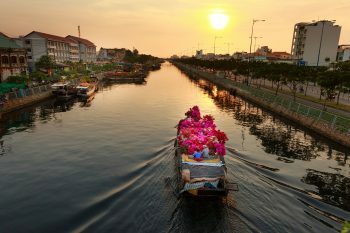 We will stop in Mui Ne for a relaxing afternoon on the beach and taking in some of the nightlife of busy Mui Ne. 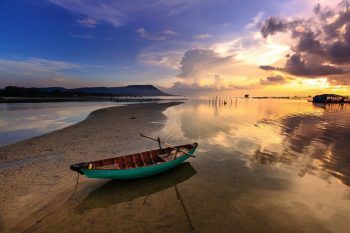 Waking up in the early morning, you have more chance to explore simple life of locals with their fishing net, small wooden boats. 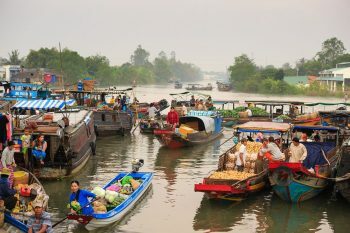 It is usually to see the one-man traditional fishing vessel, the coracle. Then, we take the picturesque coastal road past some salt farms and many dragon fruit plantations. 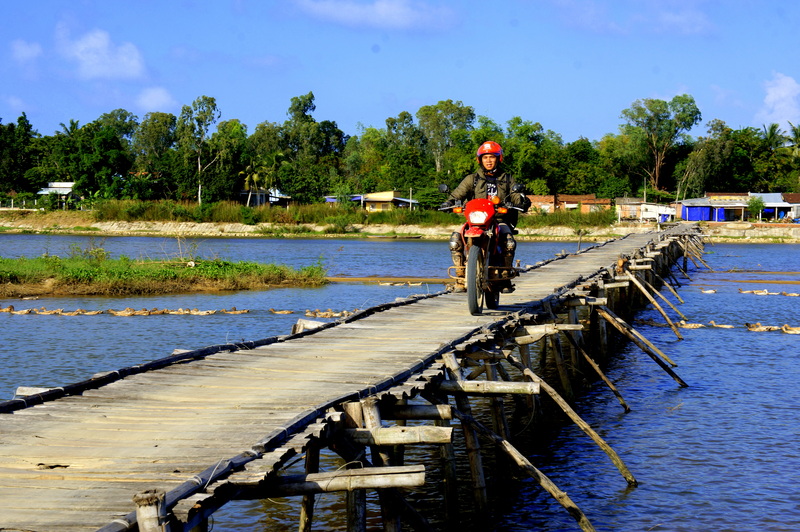 This motorcycle ride will get closer to the sea in Ho Tram and Ba Ria then finally Ho Chi Minh. 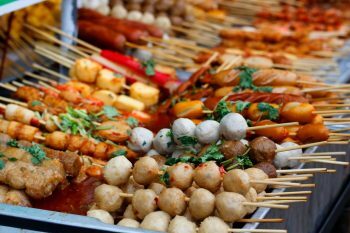 For lunch, we also cater other food choices including vegetarian. 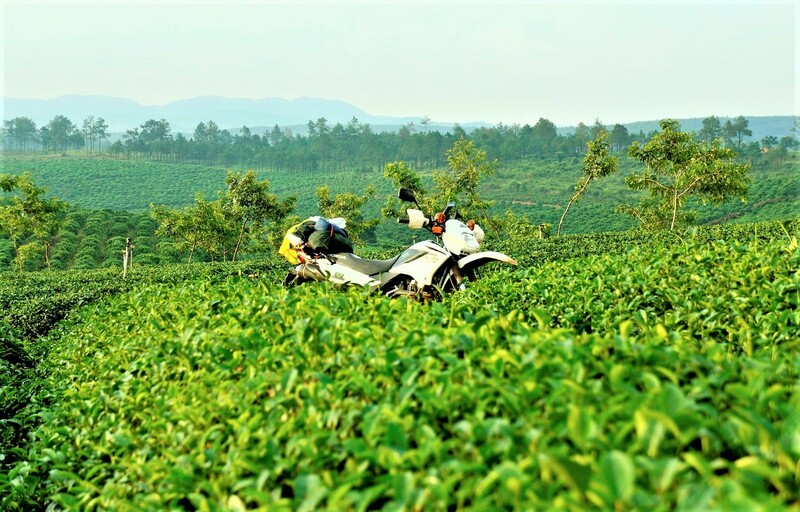 Note: this is a self drive tour, therefore it is the responsibility of the client to ensure that they are compliant with local motorbike license regulations. We can obviously discuss this with you at the time of booking. Also, if you would like to ride pillion, please contact us for more details.